Kids love toys! Let them design their own – from customizing the parts to designing the packaging. Let their creative juices run wild! Choose from dozens of parts and accessories – from wacky Pirates to glamorous Pop Stars. Kids build the toy from a blueprint, picking parts and accessories before assembling the toy. They can then make a studio recording in the toy’s heart voicebox. Packaging comes next with lots of box designs and stickers. Finally, kids get to unbox the toy and play with it! Accessories come with great sounds and animations – and when play time is over, the toy is placed back on the shelf and they can make a new one! 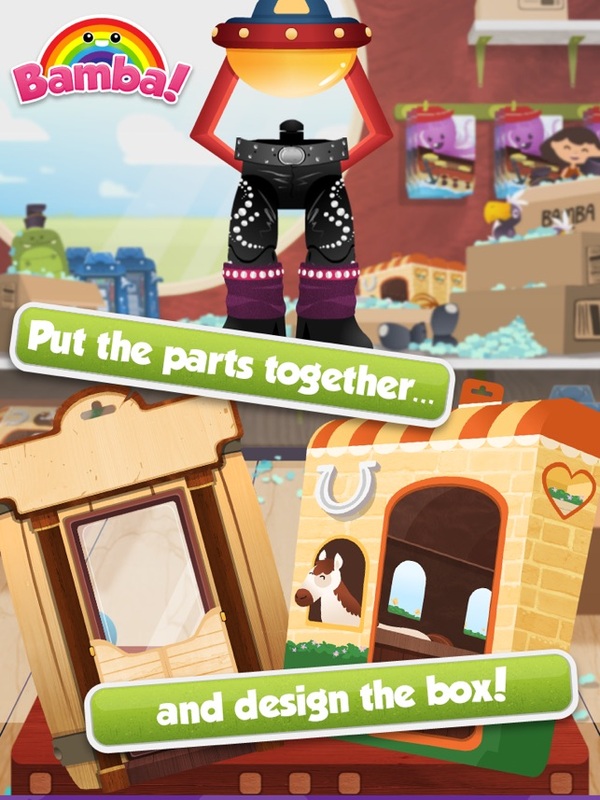 - Dozens of toy parts, toy accessories, packaging and stickers to choose from – Astronauts to Rockstars! Bamba Toys is an interactive toy designed for kids. There are no scores, complicated interfaces or stressful time limits. This game is great to play alone, with friends or with an adult. 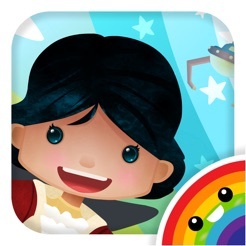 - Bamba Space Station: Kids pretend they are on the Space Station travelling the galaxy. There's lots to do on board. Craft items, cook food, party in the pool and tons more! Hours of fun and exploring! 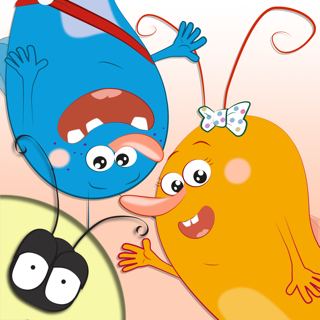 - Bamba Surprise: Learn new words with a peekaboo game. Kids arrange the letters to form the word. There are over 200 objects to learn and collect. - Bamba Clock: Learn to tell the time with Captain Birdbeard as kids sail the high seas! - Bamba Books – Kids learn to read in a fun, interactive series of books. - Bamba Farm – Kids learn to count on a wacky crazy farm where they have to milk robot cows, bathe donkeys and collect dragon eggs amongst other things! - Bamba Airport: Kids pick the passengers and send them for a holiday! Kids roleplay air stewards, customs officers and more. Lots of hilarious fun! - Bamba BBQ: Set the pit up, fire the briquettes and choose your food! Bamba BBQ gets kids role-playing a BBQ pitmaster! Lots of fun characters, ingredients and reactions! - Bamba Craft: Choose a project, create a masterpiece and display it in a gallery for other kids to see. 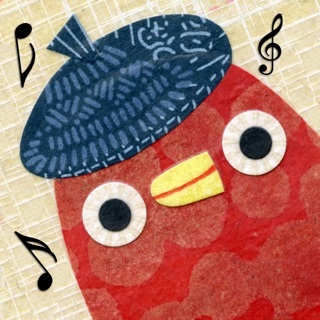 Bamba Craft gets kids painting and assembling collages in creative and fun ways! Projects and galleries are updated constantly! - Bamba Burger: Kids flip the patty, create their custom-made burger, fill their soda cup, slice the potatoes and make French fries. What's more, they get a mystery present with their meal! - Bamba Post Office: Everyone loves presents! 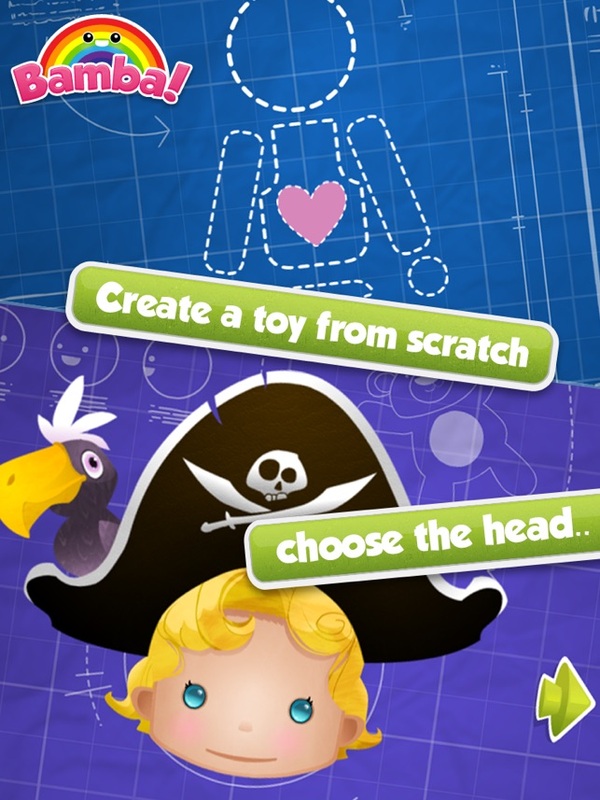 Choose, wrap and decorate presents for three funny characters. Deliver them to the jungle or to the moon! - Bamba Pizza: Run a Pizza restaurant and make delicious pizza. Great fun with 26 different ingredients and four kooky characters to play with! 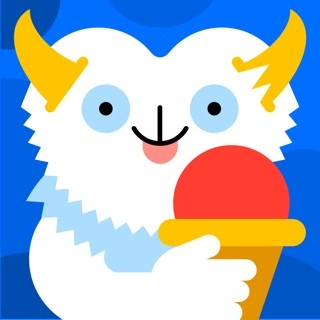 - Bamba Ice-Cream: Create and eat fantastic ice-cream concoctions. Can you guess what the mystery topping is this time? Bamba is a kid game studio that makes interactive toys for kids. 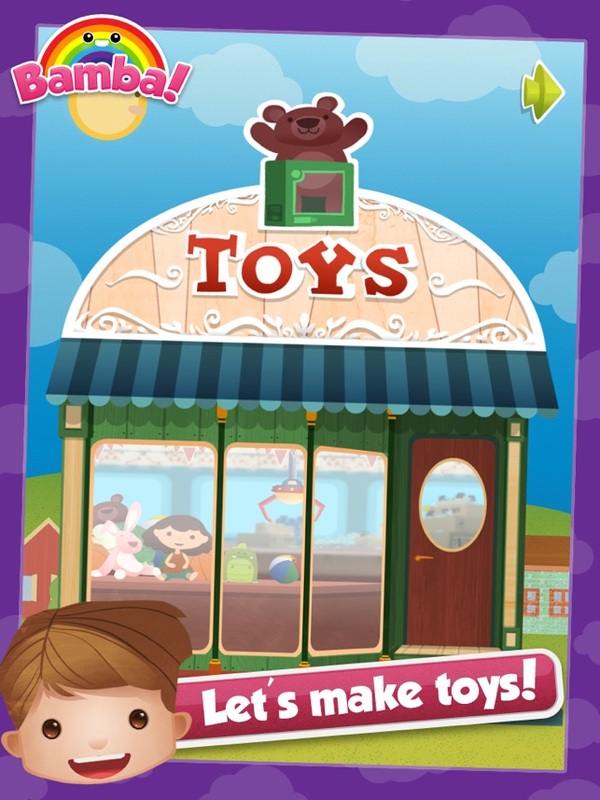 We believe that interactive toys offer a new and exciting way to educate your child. We design interactive toys that are designed to stimulate imagination and creativity. 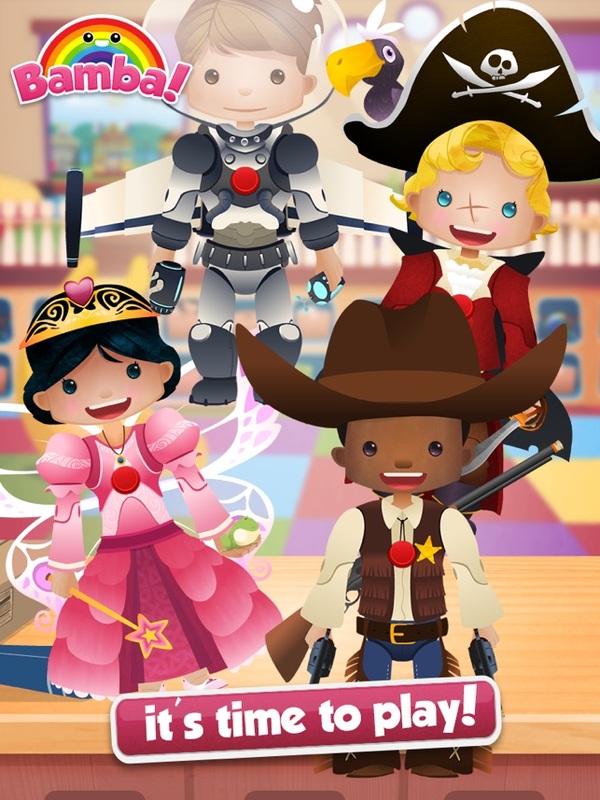 "Great app for kids to create their own special toy" - Sharon, mom of two young kids and prominent local blogger. - Added link to new app: Bamba Space Station! My son really likes that you have so many options to create any person that you want to create. He really enjoys the recording feature! 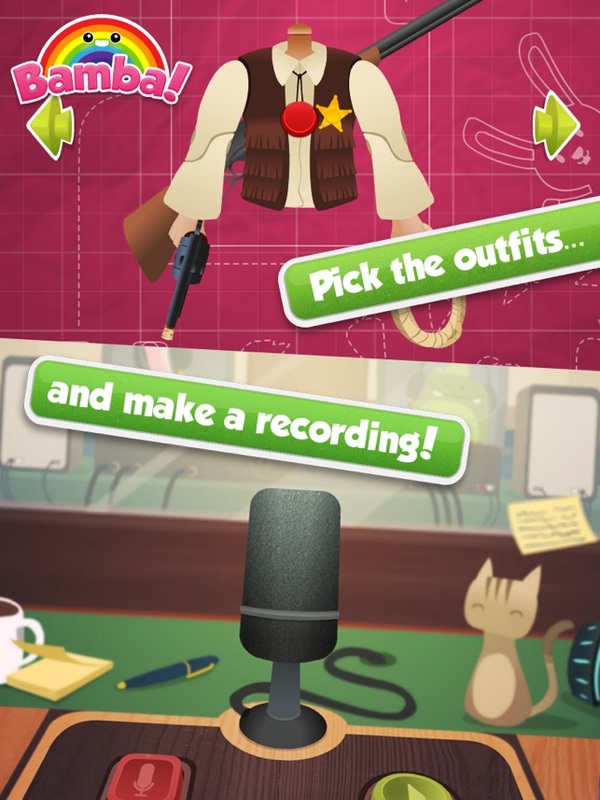 I think that this is the perfect app for little minds to explore how different people can be and your child can show their creative side.